Originally from the greater Los Angeles area, Carl began his journey in 1998 with a tattoo apprenticeship under Boston John at Skin Grafix in Arcadia, CA. Now, he’s a world renowned black and grey artist. He freehands the majority of the work he does with his subject matter being the darker, twisted side of your imagination. Click his photo to check out his work! Christian is well known for his realism and portraiture pieces. He was on Inkmaster Season 7, 9 and 11. Click his photo to see his portfolio! Boneface is a versitile artist that can tattoo a wide range of styles. 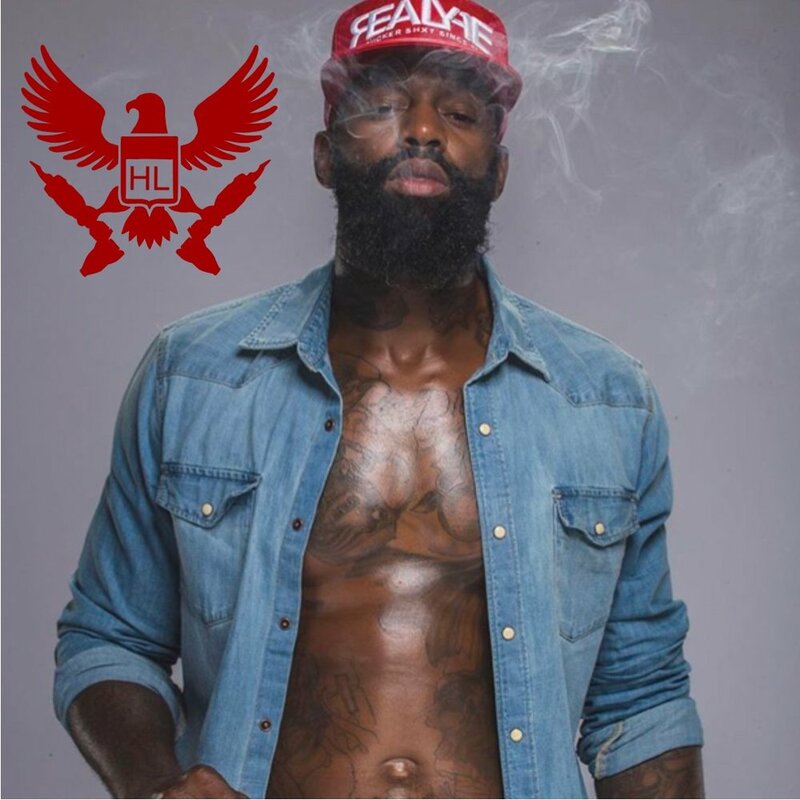 He was on Inkmaster Seasons 8&9 and Black Ink Atlanta. Click his photo to see his portfolio! Bang is a Atlanta based artist that has been tattooing professionally for 2 1/2 years and apprenticed for 3. She can be seen on Ink Master 9 (Shop Wars). She has a BFA which she applies heavily in her illustrative realism style of tattooing. Click on her picture to see her portfolio!! Randy is a realism artist that can tattoo a wide genre of styles. Click his photo to see his work! Jesse is a surrealism artist located in Grand Blanc, MI. He has been tattooing for 11 years and pushes himself everyday to new limits through his art and hard work. Jesse praises his wife and three children as his main source of fuel and inspiration. Click his photo to check out his work! Kristiyan is a award winning artist out of the UK, He attends multiple conventions every year. Click his picture to see his portfolio! Scott is a traditional artist that specializes in super clean lines and heavy color saturation. Click on his picture to see his portfolio! TURKEY IS A ATLANTA BASED ARTIST THAT STYLE RANGES FROM FINE LINE DETAIL TO REALISM. CLICK HIS PICTURE TO SEE HIS WORK!!! Lee is a Kentucky based artist that has been tattooing since 2007 who has always has a love for black and gray realism but does neo-traditional and new school equaly well. Click on his picture to see his profile. Kevin is a chicago based artist that has been tattooing since 2007. He does super clean linework and solid color saturation in his pieces. Click on his picture to see his portfolio. Berto has been tattooing for five years and is currently based out of northern indiana and his style is neo traditional with bold lines and bright colors. Click on his picture to see his portfolio! Ricardo has been professionaly tattooing for three years and his style is black and gray realism and hes based out of central California. Click his picture to see his portfolio. Kieth is a Ohio based artist that has created his own a-feminine sketchy style of tattooing. Click on his picture to check out his portfolio!!! He has been tattooing for over 10 years and mostly prefers high contrast black and grey portraiture and wildlife, but also enjoys the challenge of color. Click on his picture to see his portfolio! Brett is a solid tattooer that can do a wide range of tattoo styles. Click on his picture to see his portfolio! 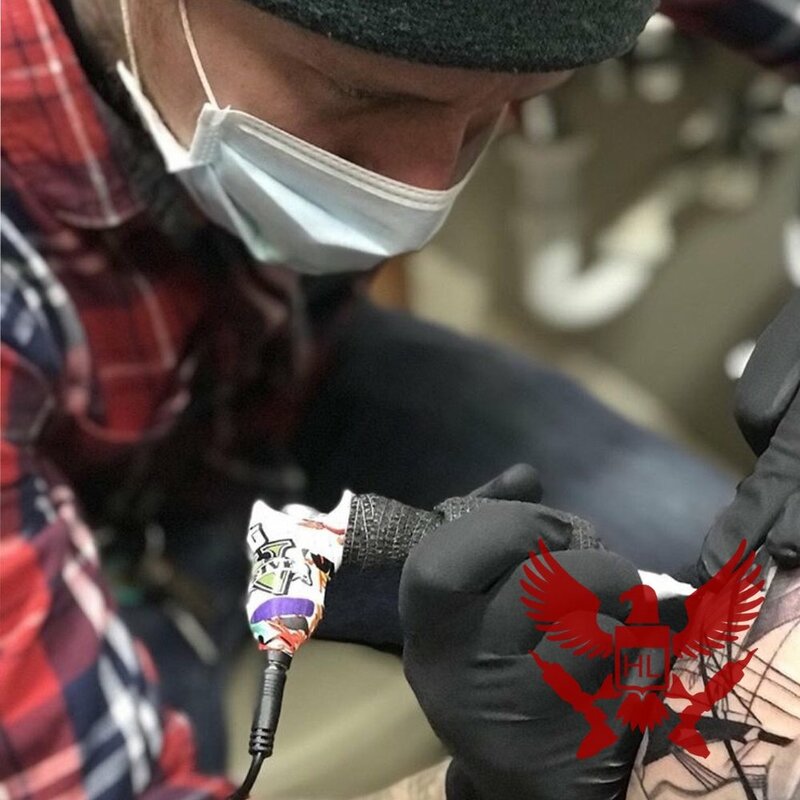 John has been a professional tattooer since June of 1996 in the Atlanta and North Georgia area. He works freely in most styles but concentrates the majority of his time on black and gray and realism. Click on his pic to see his portfolio! Juan has been tattooing for 18 years and his tattoo style is black and gray but he can easily do color and letter work. Click on his picture to see his portfolio!! Carlos style is new school combined with some scratchy elements. His art is bold and colorful while still following traditional rules of tattooing, bold black lines, black shading and color. Click on his pic to check out his portfolio! Simon Specializes in black and gray realism and horror tattoos. He has been tattooing for 6 years and has his own studio Shipwrecked Tattoo. Click on his picture to see his portfolio!! Nubz is a award winning artist and his styles range from fine line work to realism. Click on his photo to check out his portfolio! Dakota is a Award winning artist specializing in color neo traditional, bold lines, and heavy saturation. Click on his photo to see his work! Isaac started tattooing professionally in 2008. He specializes in custom freehand lettering, and black and gray realism. He is the owner of Salt Lake Tattoo Company in Salt Lake City Utah. Click his photo to check out more of his work! Gavin has been tattooing for just over 10 years, and tattoo in multiple styles, but specializes in black and grey and color realism. He is based in Tunbridge Wells, Kent, but travels to multiple conventions and guests spots around the world. Click his picture to check out his work!